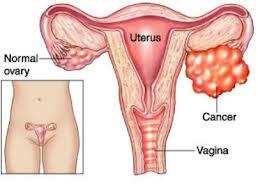 Ovarian cancer is a type of cancer that begins in the ovaries. Women have two ovaries, one on each side of the uterus. The ovaries — each about the size of an almond — produce eggs (ova) as well as the hormones estrogen, progesterone and testosterone. Ovarian cancer often goes undetected until it has spread within the pelvis and abdomen. At this late stage, ovarian cancer is difficult to treat and is often fatal. Ovarian cancer treatments are available. Researchers are studying ways to improve ovarian cancer treatment and looking into ways to detect ovarian cancer at an earlier stage — when a cure is more likely. The overall 5-year survival rate for ovarian cancer is 43.7 percent, but the survival rate varies greatly with the stage at which a woman is diagnosed. According to the NCI, 91.5 percent of patients diagnosed before the cancer has spread survive at least five years, whereas only 26.9 percent of those diagnosed after the cancer has spread to other sites in the body survive five years. 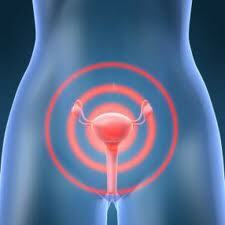 No screening test has proved to be effective in detecting ovarian cancer. Pelvic exams conducted by doctors may include a check of the ovaries, but these often don’t catch tumors until they have grown large. Transvaginal ultrasounds, and blood tests that measure the levels of a molecule called CA-125, have been tried, but too often, these tests have not been accurate enough to consistently find cancer. But risk factors don’t tell us everything. Having a risk factor, or even several risk factors, does not mean that you will get the disease. 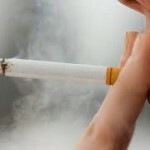 And many people who get the disease may not have had any known risk factors. Even if a person with ovarian cancer has a risk factor, it is very hard to know how much that risk factor may have contributed to the cancer. Researchers have discovered several specific factors that change a woman’s likelihood of developing epithelial ovarian cancer. These risk factors don’t apply to other less common types of ovarian cancer like germ cell tumors and stromal tumors. A woman’s risk of ovarian cancer seems to increase with the number of times over her life that she ovulates. During ovulation, an egg is released from an ovary and swept into a fallopian tube — and recent research suggests that the fluid released from the ovary along with the egg contains growth factors and other molecules that damage the DNA of the nearby fallopian tube cells, the evidence shows that the deadliest ovarian cancers, called high-grade serous cancers, actually begin when the cells at the ends of the fallopian tubes, not cells in the ovaries themselves, turn cancerous. These findings explain the long-held observation that anything that lowers the number of times a woman ovulates also lowers her ovarian cancer risk. Pregnancy, breast-feeding and birth control pills all temporarily halt ovulation, and studies have linked all of those factors to a decreased risk of ovarian cancer.